Since the introduction of the new Care Certificate guidelines, many of our clients have found the lack of clarity both frustrating and confusing. We thought this would be a good time to demystify the issues surrounding the Care Certificate and to drill down into some of the points made in the recent joint statement from Skills for Health, Skills for Care & Health Education England. Whenever a new training standard or regulation comes into play, there’s often a mad flurry of activity from training providers to be the first to market with an ‘accredited’ offering. In this situation, many clients have found themselves being misled by training providers who have ‘purchased’ an accreditation or endorsement for their internal processes, but not for the quality of the learning. The confusion is further compounded by the fact that Skills for Care runs its own ‘Endorsement Framework’, which essentially means training providers can become a ‘Recognised Provider’ by paying a fee. You could argue that this process is fuelling the confusion in the market. In essence, companies who offer access to training, which is both accredited and regulated, represent the gold standard of training. Naturally, EdgeWorks™ Care Academy offers learning that is both regulated and accredited via Skillsfirst, NCFE and City & Guilds. Learners gain nationally-recognised qualifications that will stay with them throughout their careers. We know that people are confused about the Care Certificate. So here’s our response to some of the key questions that come up time and time again. 1. Is the Care Certificate a mandatory requirement? Well, yes and no. On the one hand, the Care Quality Commission states that the Care Certificate is not mandatory. On the other hand there is a clear expectation that any staff who are new to care services are trained to perform to the levels outlined by the Care Certificate as part of their induction. That said, when it comes to being audited by the CQC, facilities who meet the Care Certificate requirements are more likely to be rated more favourably than those who don’t. 2. 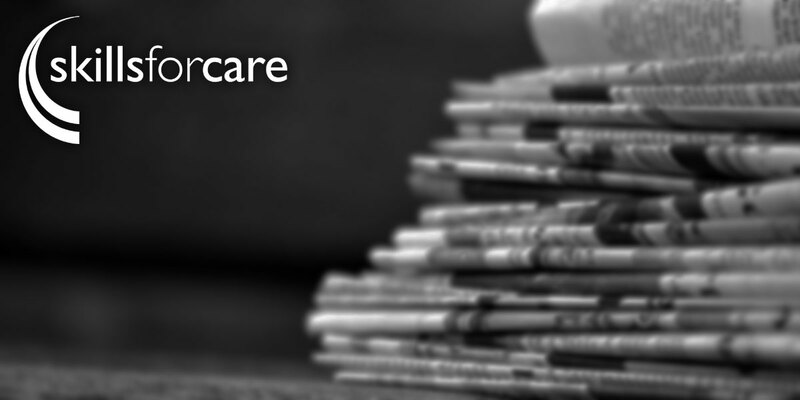 Does the Care Certificate need to be completed within the first 12 weeks of employment? Apparently this is not a requirement. Although the Care Certificate replaces the Common Induction Standards, it appears that Skills for Care accept that completion of the Care Certificate may well take longer than 12 weeks. Let’s hope someone has informed the Care Quality Commission. 3. Can e-learning be used to deliver the entire Care Certificate? E-learning is acceptable for some areas of the Care Certificate, but not for others. Within the Care Certificate Framework documentation, it is clearly noted where e-learning is acceptable. However, it does appear that some e-learning providers are suggesting that learners can complete the Care Certificate by e-learning alone. This is misleading and absolutely not the case. When you read through the standards, you will see areas where practical, face-to-face training is more appropriate, for example, Basic Life Support and Moving and Handling, among others. 4. What about e-learning for Higher Demand Assessments? Higher Demand Assessments refer to the requirement for the learner to demonstrate knowledge and understanding to questions that cannot be computer marked and which ultimately require an appropriate written answer. For example: “Describe how the duty of care affects your work role.” At EdgeWorks™, our online Care Academy programmes include ‘Higher Demand’ assessments where the learner has to enter comprehensive written answers to demonstrate both understanding and competency. While the launch of the Care Certificate was never likely to run without some teething problems, we appreciate that it’s the responsibility of care providers to make sure the training they deliver (whether in-house or from outsourced providers) is fit for purpose. After all, it’s the care provider’s reputation that’s on the line. If you would like to view Care Academy or have an informal chat about how we can help you reduce cost, improve efficiency or achieve compliance, then please get in touch.